I was waiting for the Dryer repair man to come this morning, and didn't have anything ready to post, so I got a late start....Good thing, as I was able to play along with a few challenges. I started with the MoJo Monday Sketch 187 and the Moxie Fab Tuesday Trigger for inspiration. 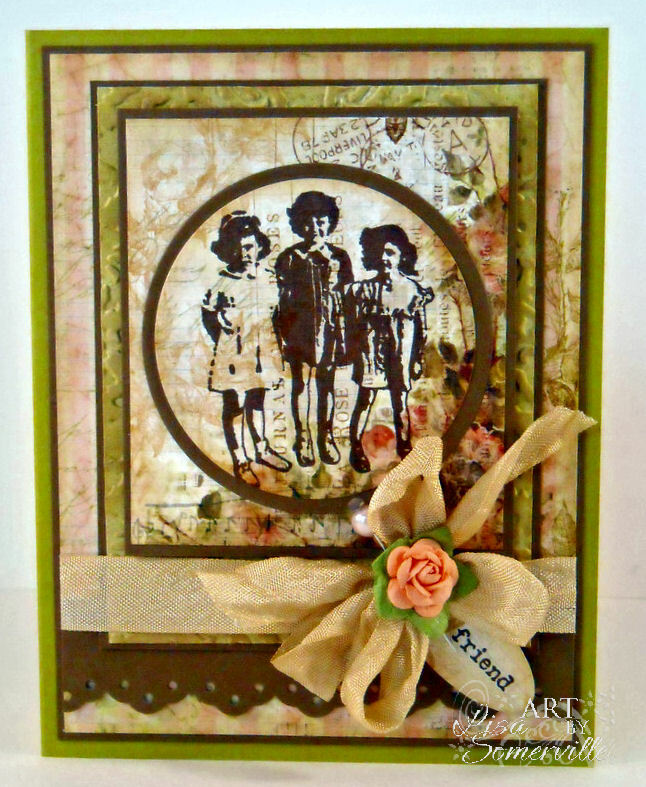 The Pink Paislee Papers were just perfect for the Tuesday Trigger, and I love the way they look with this sweet Friends image from Stampotique. The image is stamped in Coffee Archival Ink on a piece of the Pink Paislee paper, then cut with Spellbinders Circle Dies, layered on a Suede Circle, then onto the Pink Paislee panel I cut the circle from. The light green panel, fits Linda's Gungy Monday Challenge - Texture Fades and Distress, which also happens to fit Simon Says Stamp and Show a Tim Holtz Technique. For the technique I used the Damask Texture Fades folder and Antique Linen Distress Ink on a piece of Pink Paislee pattern paper. I realize you don't see a lot of it showing, but trust me, it's there. I really wasn't happy with the way it turned out on the pattern paper, I prefer the technique much better on a Tag or card stock, but I ran out of coordinating card stock in the color I wanted. So I improvised. The Seam Binding is dyed with Rangers Antique Linen Distress Stain - did I mention I just LOVE this product for dying the Seam Binding! Ah shucks GF, this is just so darn cute, that little flower in the ribbon is the final touch! Lisa, this is precious! I love the image with that Pink paisley paper! The seam binding with the flower ties it all together so nicely! I love this exactly as it is! 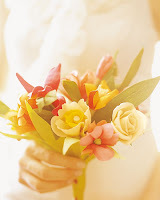 beautiful card, love it!!! the seam binding bow is the bomb! Oh my gosh, I just love this image...reminds me of me and my two sisters! Awesome creation! Love this! Love the vintage style! That is a sweet take on both the Trigger and the sketch. Grungy Monday never looked so sweet! Love this, Lisa! The backgrounds are just perfect! Such a beautiful image and wonderful vintage tones - lovely work! Thanks for joining us at Simon Says Stamp & Show! 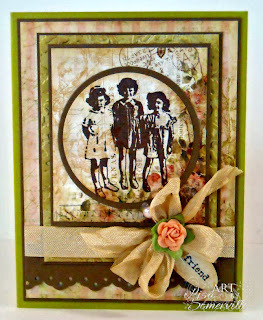 Fabulous image, I love the vintage-ness! Procrastinate! This is wonderful! Thanks for joining the challenge at Simon Says Stamp & Show. What a beautiful card!! tfs!! so pretty- LOVE that bow!